and accurate sensing solutions for applications in extreme environments. This makes it possible for both companies to tap directly into each other’s expertise and know-how. New and exciting possibilities for sensing are now available, using chip-based integrated photonics that enable the development of miniaturised, low-cost high-accuracy sensing solutions. 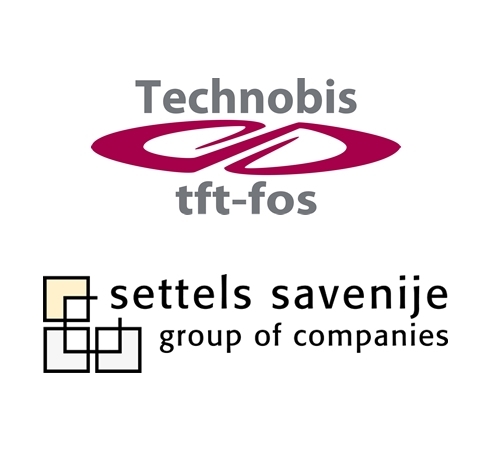 Technobis and Settels share the vision of using integrated photonics to develop and manufacture sensing solutions for ultra-high and clean vacuum, high speed equipment and opto-mechatronical systems. Settels Savenije has specific mastery and experience in creating state-of-the-art reliable mechatronic solutions in extreme environmental conditions. Settels Savenije has a long track record of developing and manufacturing custom (research) tools and systems for the semiconductor, display and vacuum deposition industry, as well as opto-mechatronic systems. Technobis is specialised in the development and supply of solutions for high-end fiber sensing systems based on Integrated Photonics and specifically for demanding environments. This specialisation concerns the development of working optical chips for measurement applications with competences such as basic design, architectural optimisation and selection of PIC (Photonic Integrated Circuits) building blocks and functions for best performance, and specific customisation of building blocks that include analysis, simulation, testing and subsequent validation. Technobis utilizes its dedicated manufacturing services, assembly methods and advanced PIC packaging techniques for series production of high reliable fiber sensing products. In the development and production of equipment and products, Settels Savenije can now integrate the possibilities of customised measurement systems at a higher level. This results in a more compact integration of functions and shorter development times in combination with higher accuracies. Technobis extends its implementation power of integrated photonics solutions making its knowledge and expertise, as well as its established manufacturing and foundry capacity, available for creating measurement solutions for the high-tech industry.